All that’s left to do now is sign the darn thing. 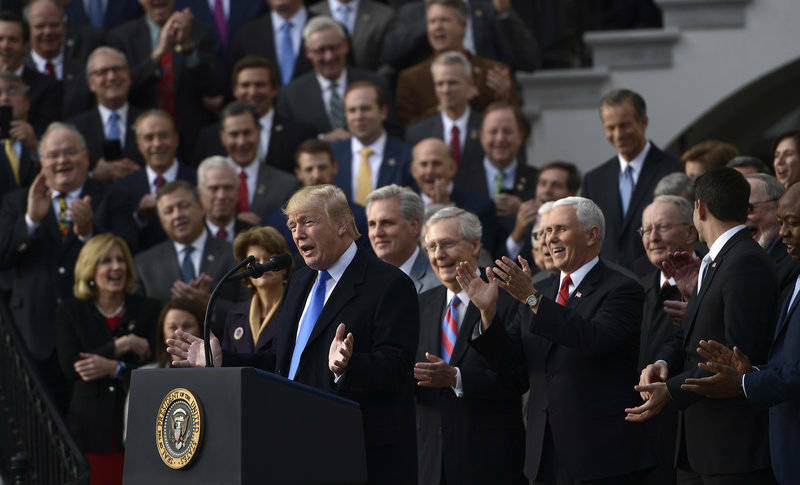 The Republican-controlled House of Representatives gave final approval Wednesday (for the second time) to a $1.5 trillion tax cut, the biggest overhaul of the U.S. tax code in 30 years. Party leaders rushed the hastily-drafted bill through Congress in a matter of weeks, holding no public hearings. It now heads to the White House for President Trump to triumphantly sign into law, his first legislative victory since taking office nearly a year ago. Passed without the support of a single Democrat, the bitterly divisive tax plan underscores the two parties’ diametrically opposed visions of how best to grow America’s economy and support its people. So what’s in this “massive” tax package, and what does it all mean for you? Below are six strong and objective resources from various media outlets that help demystify this complicated and controversial measure that will inevitably impact every American. With Republicans’ passage of one of the most significant tax reform bills in decades, everyone is asking the same question: Will my taxes go up or down? Obviously, every tax return is different and generalities are difficult. Is a person’s income from a job or investments? President Trump is expected to sign a major overhaul of the tax code after the House passes a final iteration of the bill on Wednesday. It is his first major legislative achievement and has significant implications for individuals and businesses across America. Here are the 10 biggest things to know about the bill. Total Tax Revenue US taxes are low relative to those in other developed countries. In 2015, US taxes at all levels of government represented 26 percent of GDP, compared with an average of 34 percent of GDP for the 34 member countries of the Organisation for Economic Co-operation and Development (OECD).